After a couple of years of thinking on it, I finally decided on what my fursona is. 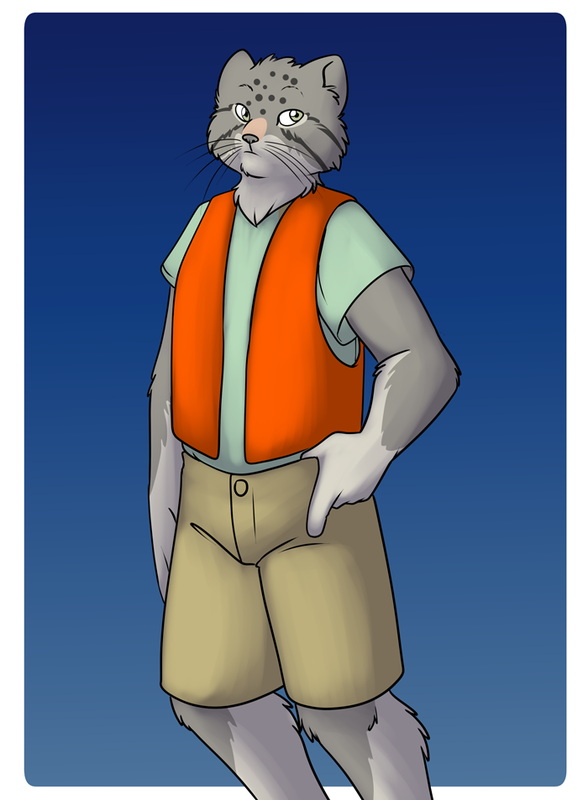 This is my fursona, a Palla's cat. I chose the Palla's cat because of the look on the face. https://en.wikipedia.org/wiki/Palla.....ile:Manoel.jpg That look is the way I look a lot of times on my job. Needless to say, I decided to have him drawn in my work clothes. This drawing was a another commission from Foxenawolf (http://www.furaffinity.net/user/foxenawolf/) on FurAffinity.